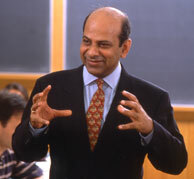 Vijay Govindarajan - Whatever Happened to the $300 House? The idea to design and build a $300 house first appeared here on the HBR site in August 2010, in a post by me (Vijay Govindarajan) and Christian Sarkar, and then again as one of several ideas in the HBR Agenda 2011. Believing that improving housing for the world’s most poor could help them break out of the vicious cycle of poverty, we issued a challenge to the design community to employ the strategies of innovation and disruptive thinking to attack this persistent problem.